I don’t have enough words to appreciate the sacrifice many of our compatriots have to pay to civilize the timid regime and its apologists. Among them and still in prison are Eskider Nega and Andualem Aragie. Their shire power to civilize the TPLF’s warlords got them long sentences. One thing I learned over the years; Ethiopians thrown in dungeons of Woyane have special characteristics that frighten the timid TPLF warlords and their apologists to loss sleep after they put them in jail. Second, let us give our people credit for maintaining composure and integrity while enduring the excessive lies, atrocities, corruptions and treacheries of the Woyane regime for far too long. No people on earth are civilized enough to maintain their integrity and composure as Ethiopians under such criminal act of a regime. But, thanks to the fake Media it strategically positioned to cover up and confuse our people the Apartheid regime continued to hang on illegitimate power. On the fifth anniversary of ESAT; there is no better way to celebrate than to show the impact ESAT had in two distinct ways. Remember, TPLF tyranny is founded with. First, ESAT overcame TPLF’s instigated webs of lies and networks of lairs by informing the public from the sources where the crimes of the TPLF led regime are being committed– ending the blunt lies and cover ups of the regime and surrogates for good. Now every lie TPLF spew is challenged and exposed instantly. Therefore, the webs of lies and liars no longer effective –graduating to repackage more lies to undermine ESAT and Ethiopian institutions is the new order. From all things ESAT did that stands out; dismantling the web of lies and the network of liars that left the regime and its apologists in disarray comes up on the top. It was the biggest accomplishment that gave relief to all Ethiopians. Second, ESAT is slowly but surely civilizing TPLF and its apologists like no one ever did before. That on its own is a great accomplishment. No longer will any Ethiopian associate in his or her free will with the primitive regime and live to see his-her future. Quite honestly, if we think about it the fate of our people and nation is entwined with ESAT’s ability to break up the web of lies and network of liars of the regime and interest groups from wherever they are hiding. ESAT is no longer the hunted but the hunter of the regime the way a Media supposed to be, thanks to all Ethiopians that contributed their share. When the hunted turned into the hunter; democracy is around the corner. But, celebrating ESAT and contributing money is not enough to relief us from our responsibility. There are lots more to do, particularly defending it from agents of TPLF, hackers, fake and lookalike Media and the ignorant running their mouth just because. Speaking of hackers, the latest news TPLF’s hackers being hacked is great news. But, there is many more hacking and corruption going we know little. Obviously; we can’t wait until the FBI and other law enforcement round them up and send them to jail for all kinds of crimes God know on how many Ethiopians. But, getting excited on the good news is not enough; hunting TPLF hackers’ apparatus is part-and-partial of the war on Woyane tyranny that requires army of Technologists to organize and start chasing the hackers and the corrupt everywhere. We can’t wait for ESAT to do everything. ESAT being the primary target of the hackers, Ethiopians with legal background must organize to sue the hackers in courts of law. Ethiopians can’t wait until brave lawyers organize and go to work to get the hackers charged and arrested for espionage for foreign government, conspiracy against US citizens and businesses and all kinds of criminal and civil offense. We also want to see a warrant for the arrest of the men behind it all; the Ethiopian Ministry of Communications & Information Technology and Information Network Security Agency starting Debre Tsion Gebremichael and associates that paid millions of public money for spyware to intrude on Americans and Ethiopians. If Ethiopian American lawyers organize to have their way; TPLF agents will soon be hunted men all over the world. There is more to be said about TPLF hackers in North America, Europe, India, China and Malaysia soon. ESAT in short five years over came all the hacking, jamming and defaming to remain a nightmare of Woyane and its agents beyond expectation. I assure you, knowing what it is capable of; Woyane without ESAT would have been more deadly. Instead, ESAT civilized the Apartheid regime to learn; dividing Ethiopians would be its demise and force it sing Agere Ethiopia; the same Ethiopia it auction off for the highest bidder. The fact the regime is running from ESAT in all direction is part of civilizing process. Here in the Diaspora, in the land of the free; the presence of ESAT is giving the cadres and the apologists a run for their money — scrambling to tarnish its image from their hiding. Some are choking to death not to spit the truth about Woyane. Others are imitating ESAT in hope of confusing the public to abandon the struggle to extend the regime’s rule. The real cadres go as far as claiming ESAT is Shabiya’s– the same Shabiya they loved to death. The poor Hodams are too busy filling their guts and parroting TPLF’s script without even knowing it. As our people say ‘ከአህያ ጋር የዋለች ጊደር ፈስ ተምራ ትመጣለች’; they keep on farting on us and tell us it smells like a garden of roses. 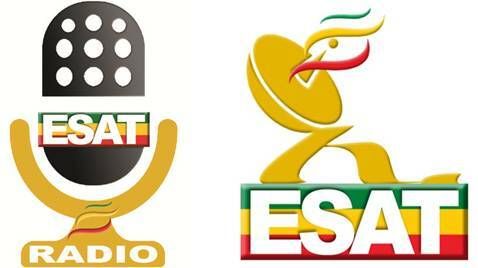 ESAT is the only independent Mass Media in the history of Ethiopia outside the control of the regime. The fact Ethiopians have an independent Mass Media may be a shock for many that are used to hearing lies from the Apartheid regime and surrogates. It takes time for people to absorber the truth and makes sense out of it; especially those cadres used as Weapons of Mass Distraction. But, we have no choice but to live with it. After all, democracy don’t come hiding from independent Media. In August 19, 2011 when I wrote ESAT is the best thing that happened to Ethiopians since the ADWA victory I was not bluffing. Though, more than anything and unlike most I was thinking how ESAT can civilize the ruling Apartheid regime and its surrogates. I believed as I do now the Woyane is the most uncivilized regime in the history of Ethiopia. In that regard, in August 2012 I wrote; civilized people uncivilized regime; how did it happened? Regardless, beyond my expectation ESAT civilized Woyane like no one ever did before. Not necessarily for the better but, it no longer bluff hot air in public. In that regard on June 2012; I wrote ESAT is not just a Media it is lifeline-A 911 and an intensive care to save us from tyranny syndrome. The stooges of Woyane should embrace ESAT to save their life. The project of civilizing Woyane and its surrogates is the beginning and more to come. Looking at the reaction of the uncivilized regime indicates ESAT is on the right track. Look, I have no qualm with the uncivilized regimes but the refusal to be civilized on the people expenses. Nor I have qualm with the journalists, intellectuals and the rest but, when they spew lies to preserve uncivilized regime they declared to preserve the rot. Therefore, if they can’t tell civilized from uncivilized behavior they answered their own question no need to waste my time. But, insulting Ethiopian’s intelligence by claiming it takes time to learn how to count the people’s vote or to learn not to steal the public money and resources is as good as self-confession to uncivilized behavior. I have said enough before on the veterans fake Media that accomplished their tribal-divide to sustain Woyane. In that regard, I wrote a few articles telling the compromised Media to be civilized enough to tell the truth or find other line of work. Instead, new and savvier fake Media have been creeping or in the Woyane’s own lingo growing by double digits and transforming in more potent lairs — feeding the world the same all over again to sustain the regime without anyone noticing. The new Media are more interested to sustain Woyane in the name of growth and development on their way to the bank. More will be said about them in the near future. The phrase ‘stupid is what stupid does’ should remind us what our people endured 24 years of the uncivilized regime’s intelligentsia to lie for so long it became their second nature. There were times we as people had to deal with things beyond our control and accept the cruelty of what nature or foreign invaders dealt us. Other times; we as people accepted what cruel regimes did to us out of self -preservation at our best and timidity or apathy at our worst. Whatever our rational has been; we felt our people and country come first. But, what Woyane continued to do to our people and our country is anything but…, and demand rational response. What is not unbearable is ignoring the justification of the former, the present or the future Woyane’s apologist salivating to preserve treachery and atrocities on our people and country in one form or another for personal, political, economic or for any other reasons that by definition is a declaration of war on our people. Moreover, the crocodile tears pouring out of the same people that bled our people and country to make sure the children of Ethiopia not to come together to end the treacherous regime’s rule appears to be the last hope-against-all-hope chocking over their own lies. There is no, not one justification to say Woyane is anything but…; ‘a bunch of riffraff ignorant thugs’ as Professor Al Mariam described them. Such ground breaking indictment liberated many more minds and no one came close to question the validity of the charges or dare to question the charge legally, morally and politically in public. The only thing missing is action on ‘the thugs’ for battering our people and ransacking our nation for far too long. The crime of the ‘thugcroacy’ regime disguised as revolutionary democracy is proven beyond a reasonable doubt with no one to come out to defend it. But, what we are witnessing is TPLF’s cadres and hired hands disguised as journalists, businessmen, scholars, peacemakers… chocking over their own lies to divert attention from the thugcrocy with the help of their enablers. Instead of telling the truth about the crimes of the regime, they choice to run their mouth like a derange drug addicts looking for their next fix. The hide-and-seek sport of TPLF’s intelligentsia chose to paly is not by accident but, to preserve the treacherous regime to robe our people and nation blind. Look closer when fake Media choking over to make the best out of ‘thugocracy’ you can’t help but feel sorry for the nightmare they go through every day to figure out how they out lie Woyane out of its own lies to preserve it. It indicates the dead-regime-walking is chocking itself to death on its own. Black is white, stealing is investment, robing is growth, opposition is terrorism, and unity is dis-stability… chocking… chocking themselves to death. It reminded me my people’s saying ‘ሁሉ አማረሽን ገበያ አታውጣት’ loosely translated don’t invite a shopaholic to the market. If you ask me; the lack of truth telling is what is holding us all these years and, the responsible parties are the Media entrusted to search for the truth. If we can’t deal with them once and for our freedom and democracy is a pipe dream. In the last five years ESAT took a quantum leap searching for the truth and rattled the snakes’ nest along the way. The challenge for each and every Ethiopians is finding and outing the snakes out of their hidings. That my people; the Freedom game we can’t afford to loss. Anything else is a side show if not a hogwash. As I said over-and-over again before; Woyane has no choice but to surrender for democratic rule. In other words, it can’t lie, steal and jail out of its predicament to sustain uncivilized rule. This goes for its apologists that are choking over its lies to extend its rule. Unfortunately, they chose war than peace and deceit over the honesty. What choice do Ethiopians have but to fight back? For many, fighting back may be gun and bullet, not necessarily. Telling the truth is more potent and ESAT proved it beyond any doubt. Have you noticed Woyane is eager to start war with all the gun it can borrow to spill Ethiopian’s blood but, afraid of one journalist on ESAT to run like a coward in hiding? Go figure; my people; as the British say ‘there are more ways than one to skin a cat’ likewise; there are many ways to fight uncivilized regime. Digging the truth about the brazen regime and its corrupt surrogates is the cheapest and the most efficient way to help the struggle on the ground. Let’s not talk but go to work digging the truth. Saving one Ethiopian live worth lot more than cowards that waste it. The article is dedicated to ESAT family and all that made it possible to stay on the air.